The majority of psychology posts in the UK are within the public sector. 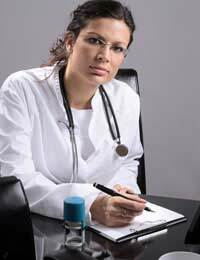 However, a considerable number (from all disciplines) work in private practice. In some cases this is part time (combined with a part time post in a University or the NHS). Equally some psychologists opt to work on their own and others in partnership arrangements. The nature of the work can either be working with individual clients, companies on a consultancy basis or the NHS to deliver a certain number of sessions with NHS patients. The British Psychological Society’s (BPS) has produced guidelines for psychologists in private practice. This covers good practice in how you market your services and how to indicate if you can offer specialist interventions such as hypnotherapy. Before working in private practice, you can follow approved education and training routes leading to Chartered Psychologist status. Whilst anyone can call themselves a psychologist in the UK, the terms clinical or counselling psychologist (along with some others) are protected titles and in order to practise you have to be registered by the Health Professions Council. Anybody can call themselves a psychologist in the UK but you will find it easier to find work, and for that matter obtain professional indemnity insurance, if you have completed your training. In private practice you may well work as an “expert witness” in court cases and the BPS particularly stresses the need to be independent and to ensure that all reports are factual (even if in doing so they apparently undermine the claims of the person who paid for your services). The BPS is also keen that psychologists working in private practice have access to the type of peer supervision normal within the public sector. This is a key concept to working as a Chartered Psychologist and is essential for dealing with difficult cases or those with potential ethical issues. Another important criteria is to ensure you continue to take up opportunities for ongoing professional education and training. If you are working for yourself, you will probably find you need to pay your own fees for conferences and training events (something to factor into the rates you charge your patients). The BPS offers no guidance on fees or other charges. This can be a difficult issue as many psychologists enter the profession committed to helping anyone with mental health difficulties. Putting your fee too high will obviously exclude a number of potential clients but equally you need to ensure that your fee will allow a reasonable standard of living. Working in private practice means you will have to deal with all the issues that face anybody undertaking freelance work. Absolutely critical is to ensure that you have appropriate Professional Indemnity Insurance (this can be arranged via the BPS). Do you need a website (many Chartered Psychologists do)? Working At Home Or From An Office? One of the biggest issues is whether you wish to work at home. If you do you will avoid the costs of hiring office space etc. However, if you opt to work at home you will face all the usual dilemmas (keeping work separate, family rules for when you are working etc). In addition you will face the additional problem that many psychologists (for reasons of confidentiality, safety and professionalism) seek to ensure that their work and private lives are kept apart. As with many such issues there is no easy answer to this. In terms of the common issues facing freelancers, there are a number of useful websites that gather together advice, hints and practical guidance. One option is to work is to work either as part of a partnership or to sign up with a specialised employment service that effectively acts as a clearing house between potential employers and individual psychologists. These options ease some of the problems of working for yourself. They will help with invoicing, completion of tax returns and provide a supportive environment. how you will keep work and private life separate. Hi!!! I just finished my course (Abnormal psychology)and human behaviour.How and where o can find to use that! Can you please advice me ! Thanks!